Dream job? : Manager of a Major League Baseball team. Preferably the Chicago White Sox, but I’ll take what I can get. As the highest-ranking of the Student Association senator, Daniel Egel-Weiss said he knows all the right people to accomplish each of his goals on his platform for president. 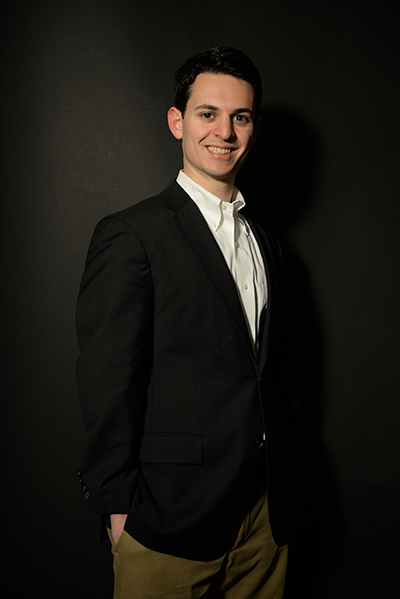 Egel-Weiss, a two-time SA senator with a spot on the group’s coveted finance committee, has branded himself as the “consensus-driven candidate” and said he has worked with nearly every student group on campus. He said he knows the key issues that organizations face, from the costs of hosting events to getting out the word about them. “I think that my record of leadership in the senate shows that I’m able to hear a lot of opinions and make a very educated judgment based on those,” he said. As a senator last year, Egel-Weiss spearheaded GW’s first-ever microloan program for student organizations. Under the system, cash-strapped student organizations can borrow up to $500 from the SA to hold fundraisers and pay for their own programming. Alex Mizenko, last year’s finance committee chair, worked closely with Egel-Weiss on the microloan program, and said he stayed persistent by continuing to meet with administrators who were not at first supportive of the idea. “We tweaked the program to adjust those concerns, or if there was something we thought to keep we would find a reason to prove why to keep it in there,” Mizenko said, adding that Egel-Weiss was one of the best leaders he had worked with at GW. He has spent the last year as the senate’s second-in-command, preparing legislation for the senate floor and working to fill vacant positions in the group. Fundraising will play a key role in boosting student organization’s budgets under Egel-Weiss’ plans. After meeting with officials from GW’s development office this year, Egel-Weiss said he was inspired to start a weekly newsletter for campus groups to inform others about their events as well as allow organizations to “work together to reach fundraising goals,” he said. He said a newsletter managed by the SA would be more accessible to students, and said numbers show that students opened more emails from SA leaders than from the Center for Student Engagement. The junior also wants to eliminate the $150 fee groups face for renting the University’s GWorld machines. For smaller organizations, like some theater groups, “the excessive amount” of fees can cut into half of the group’s revenue, he said. Student safety is another key issue, with Egel-Weiss pledging to reform the campus shuttle service by alerting students by text message when their 4-Ride van is en route and when it has arrived to cut down on the vehicles’ idling time. Like 2012 presidential candidate John Bennett, Egel-Weiss said he also wants the 4-Ride system to prioritize riders heading home alone at night over larger groups of students headed off-campus. By working with the GW Transportation and Parking Services office, he said he would push for new software that would process requests so that the smallest groups were prioritized. “This includes an evaluation of system capabilities, timing of messages, and the impact on the overall operation. We will continue this evaluation and dialogue with students who have raised these questions,” Andrews said. Egel-Weiss is also advocating for community service aides – students hired by UPD to check students in at residence halls – to be able to check in at their work location, instead of forcing them to walk across campus alone at night after checking in at Thurston Hall. “It’s come up especially in the last few months after talking with my constituents, so I’ve been definitely making it a platform point,” he said. He also plans to launch an online chat service with academic advisers to answer students’ questions about academic issues, similar to Gelman Library’s online chat service. To promote networking, Egel-Weiss wants to connect more students and alumni at popular campus events like basketball games. “I want our alumni office to have a sign-in table at these games for alumni to offer job positions and other opportunities, mentorship opportunities, to undergraduate and graduate students so that our undergrads and graduates know what the opportunities that they have in life are,” he said.